Contrary to popular belief, the low average life expectancy in “pioneer times” wasn’t due to a lack of modern medicine – it was due to high infant mortality rates. It wasn’t uncommon for a pioneer to live into his 80’s or 90’s. Considering the absence of things we take for granted (antibiotics, for example), it’s amazing that people were able to life through sickness, injury, and disease. Modern medicine has come a long way, even compared to a few generations ago. Diseases that were considered fatal now have treatments, and we are constantly expanding our knowledge of the human body and how it works. The human body needs a certain amount of physical activity to stay healthy. Except for those who make exercise a priority or have physically demanding jobs, few of us get the amount of activity we need. Many of the chronic diseases we struggle with today were unknown to the pioneers. The physical work they did every day played a huge role in their health. Even today, the best advice we have for a diabetic is to exercise. Many of us expect our doctors to be able to fix all our problems with medications, when in truth, getting off the couch would be far more beneficial. Typical “American food” is some of the unhealthiest in the world. Our country is known for fast food joints, soda, and obesity. The human body requires a vast amount of nutrients to maintain good health. We are supposed to get those nutrients from our foods. Today, we depend on vitamins to provide those nutrients while we guzzle down sodas and munch of potato chips. While food sources were not as varied in pioneer days as they are today, people on average had a much healthier diet. They consumed beans, meat, bread, and vegetables. Fruit was a delicacy or dessert. Sweets were rare. Soft drinks did not exist. Their favorite beverage was fresh, clean water. In addition, the foods they ate were healthier than they are today. Hogs and cows were not fattened up like they are now. 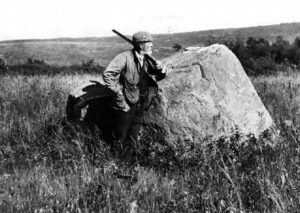 Pioneers also ate lots of game meat like squirrels and rabbits – meat that is leaner and lower in cholesterol. Chickens were free-range and vegetables were grown in soil that had not been overworked. And nobody overate. There just wasn’t enough food. This combination of exercise and diet affected pioneers’ bodies, making them lean and muscular. This effect was apparent on both men and women. 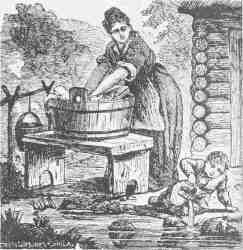 While men wrestled steers and plowed the fields, women washed clothes by hand, slaughtered animals, and obtained water from wells. The average person today probably couldn’t make it through a single day of pioneer work. Today, the world (America in particular) faces chronic obesity – something that did not exist back then. The pioneer lifestyle did not offer many opportunities to store up extra energy as fat. Mankind is adaptable. When we don’t have something we need, we find something else. The pioneers did this with medicine. They lacked modern medicine, so they used what nature provided. Many of the medicines we use today are substitutes for what can be found in nature. In fact, every medication and prescription begins in nature. The Old West did not have pharmacies. The only medicines available were at a doctor’s office or general store. Most people used natural cures and medicines – some better than what we use today. Back then, nearly everyone had basic knowledge of natural medicine. It was common for a woman to grow herbs in her garden or for a lone rider to gather medicinal plants along the way when he had an upset stomach or toothache. Herbal medicine was part of life.